Mounira Al Solh's art practice embraces inter alia drawing, painting, embroidery, performative gestures, video and video installations. Irony and self-reflectivity are central themes for her work, which explores feminist issues, tracks patterns of microhistory, is socially engaged, and can be political and escapist all at once. Self-reflexivity is present in her work, and for several years she has collected stories and personal experiences provoked by the political and humanitarian crises in Syria and, more broadly, in the Middle East. Mounira Al Solh’s art practice embraces inter alia drawing, painting, embroidery, performative gestures, video and video installations. Irony and self-reflectivity are central themes for her work, which explores feminist issues, tracks patterns of microhistory, is socially engaged, and can be political and escapist all at once. 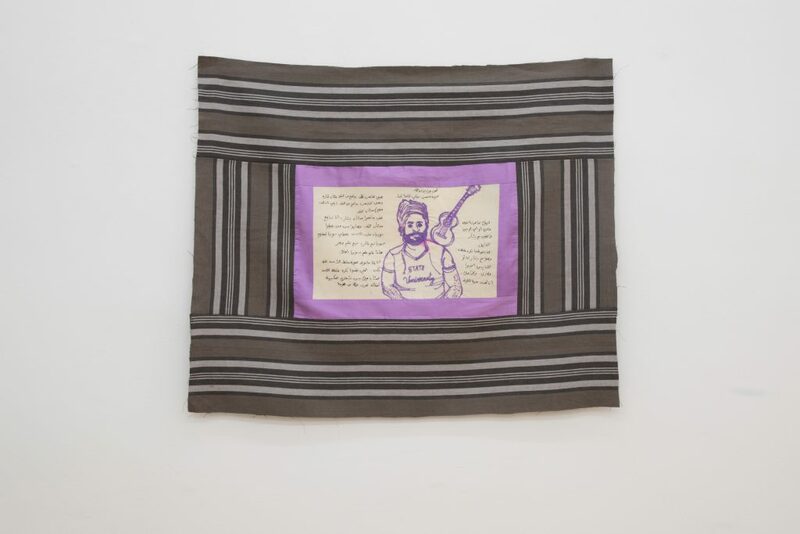 Self-reflexivity is present in her work, and for several years she has collected stories and personal experiences provoked by the political and humanitarian crises in Syria and, more broadly, in the Middle East.